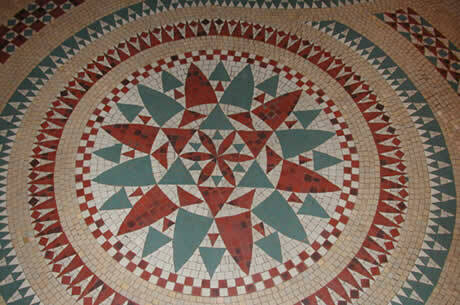 What mathematical words can be used to describe this floor covering? How many different shapes can you see inside this photograph? How many white triangles can you see? What fraction of the image is grey in colour? What fraction is quadrilateral in shape? The picture was seen in Lafayette, Paris.